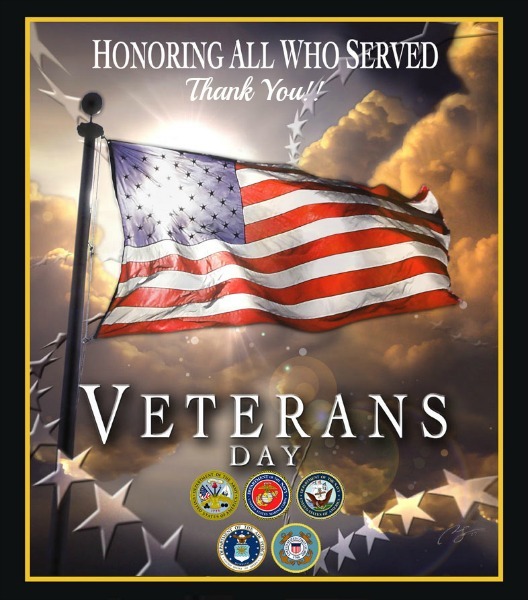 Good Afternoon, on this the 11th day of November, Veteran's Day. I'm remembering with Gratitude Our Veterans today. Nor for which battle you died. Nor the tears that were cried. And your fears lay unspoken. By each soul that's inspired. There's not much more one can say, other than "Thank You". You're sacrifice did not go in vain. There's no words to express the love and respect I have for you and your families. Be well. God Bless You, though I know, He already has and does. "All gave some, and some gave all..."
I'm with you, Thanking those who fight for our freedom and the many who can't be home for this Thanksgiving. Prayers and thoughts are with the many service people this day! Thank God for my many blessings and for those who protect this country.